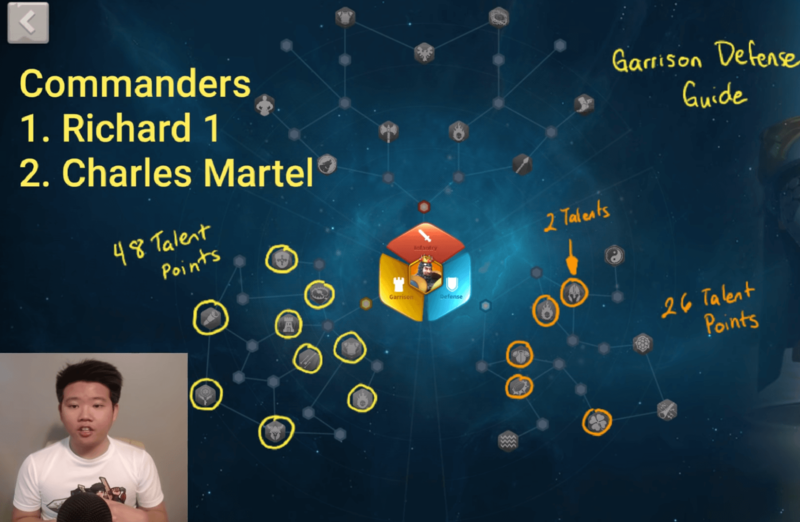 Building the right talent paths for your Commanders in Rise of Kingdoms is absolutely one of the hardest things to do. 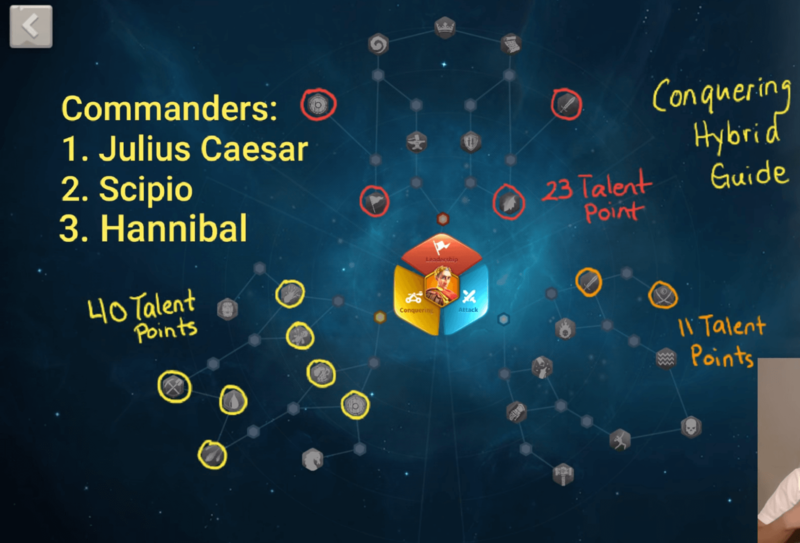 This is because If you do it right, you can progress a lot faster throughout the game and maximize the potentials of your Commanders/armies. 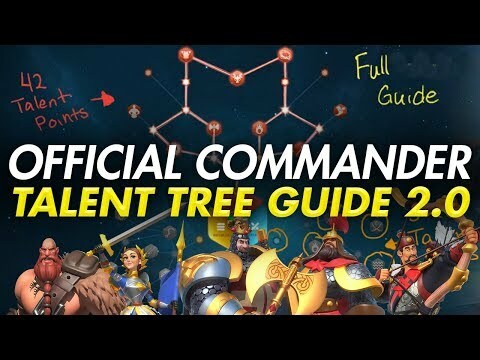 I also believe that almost everyone playing Rise of Kingdoms always looks for a decent commander talent guide to follow at the very beginning of the game. 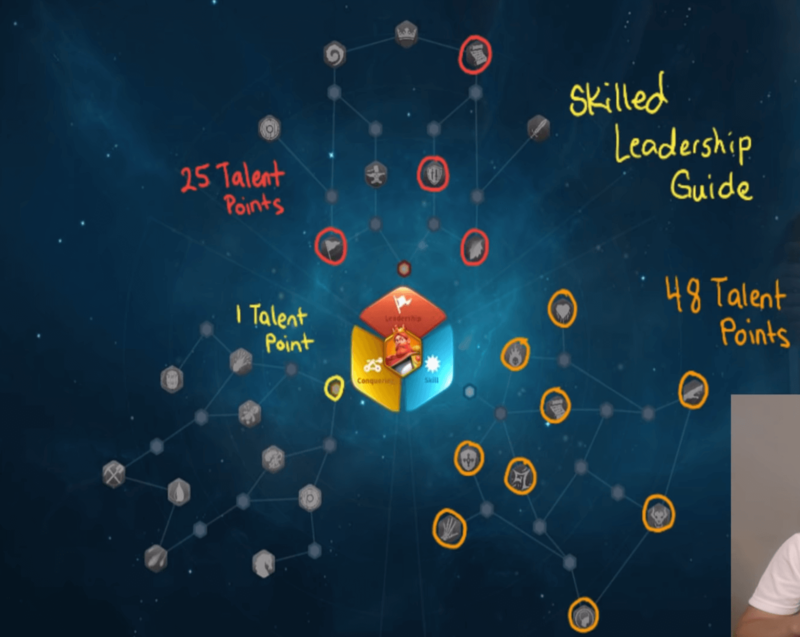 Thus, I do the best I could to test and show you guys the possible best talent builds in the game right now. I will also do my best to update this list after every balance changes so make sure you guys bookmark this page to check it out whenever we have a new update! Commander’s max level is 60. 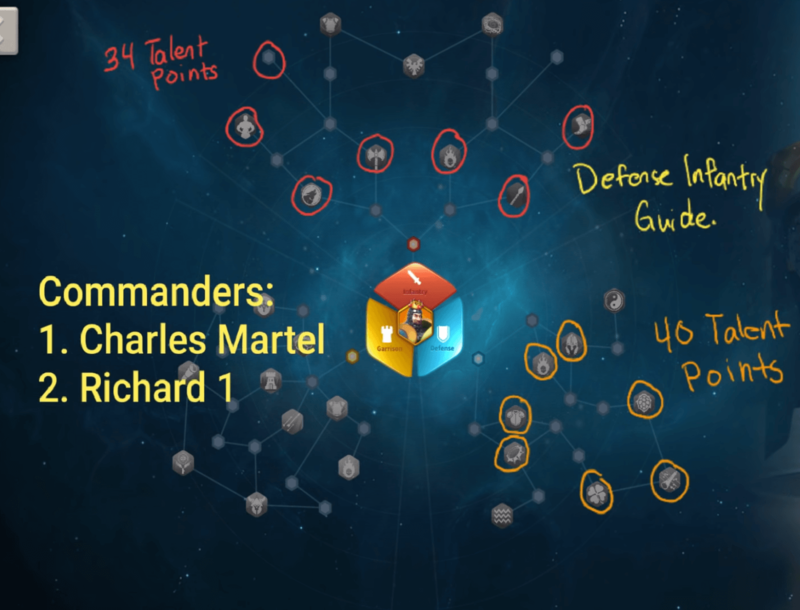 Max talent points a commander can have = 74. 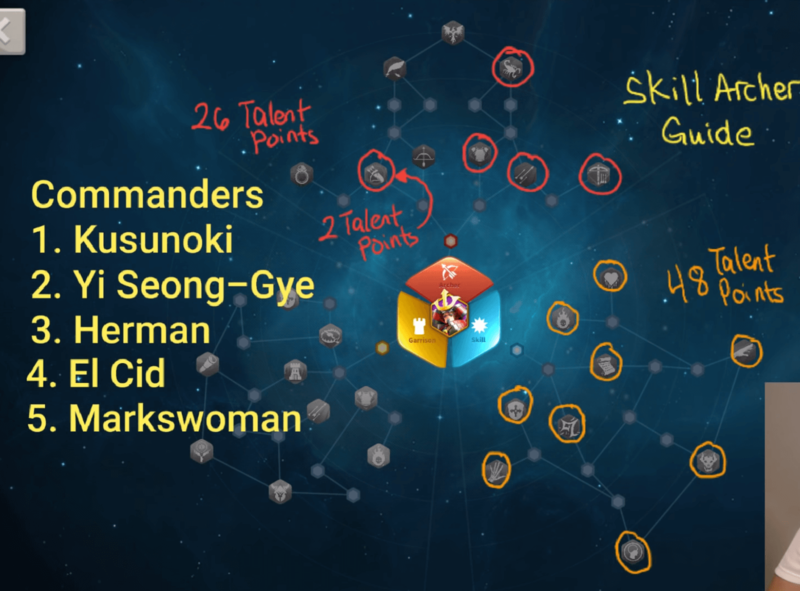 Talents are taking effect for the Primary Commander only, not for the Secondary Commander. 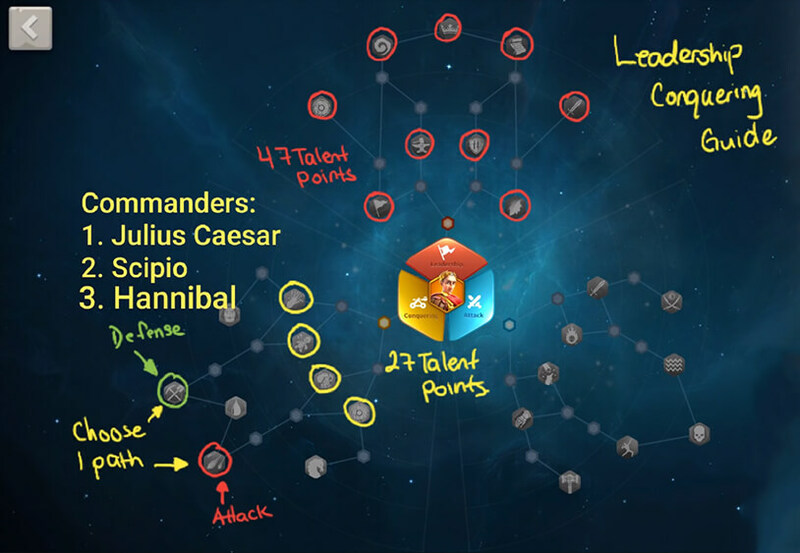 Secondary Commander can only contribute the skills, not talents, during the battles. 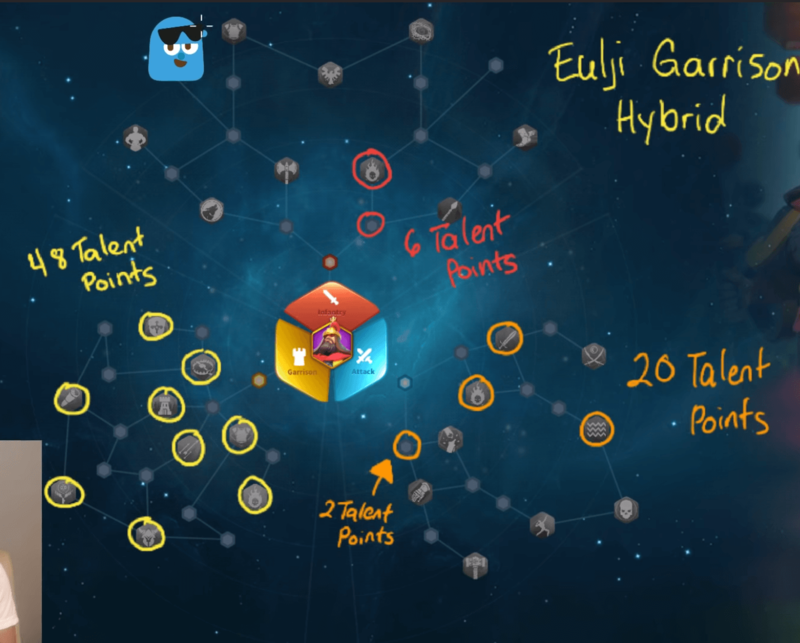 If your skill levels are bad, your talents are pretty useless. This is a pretty good combo If you want to raid other cities and be dominant in wars. This is a great build If you are going to do most of the battles in the battle field or doing rallies for Alliance structures, Barbarian Forts or neutral units. It is not recommend to do rallies on other cities using this build. Use this build If you are the one who runs rallies on governor cities. Make sure you are well prepared and your Castle has a decently high amount of rally capacity. Only use this build If you want to use your Frederic I as a nuker. This build focuses on Minamoto no Yoshitsune. There are actually some different options for this build but it’s best to fill up all of the moving speed nodes. This build is excellent for full cavalry queue. Do remember that you need to have a good moving speed while doing full cavalry because you want to move in and out with ease to isolate the enemies. This one is more for Cao Cao. Once again, we focus on the moving speed here because it is the best goal for you while using full cavalry armies. You use Cao Cao as the primary commander here. Not just because of his strengths but he is also freaking awesome! This build is great for F2P players who have mix type of troops. This build is typically for P2W armies. It’s a great counter against cavalry armies, which are used by most players at the beginning. Focus on building up Eulji while using this build. 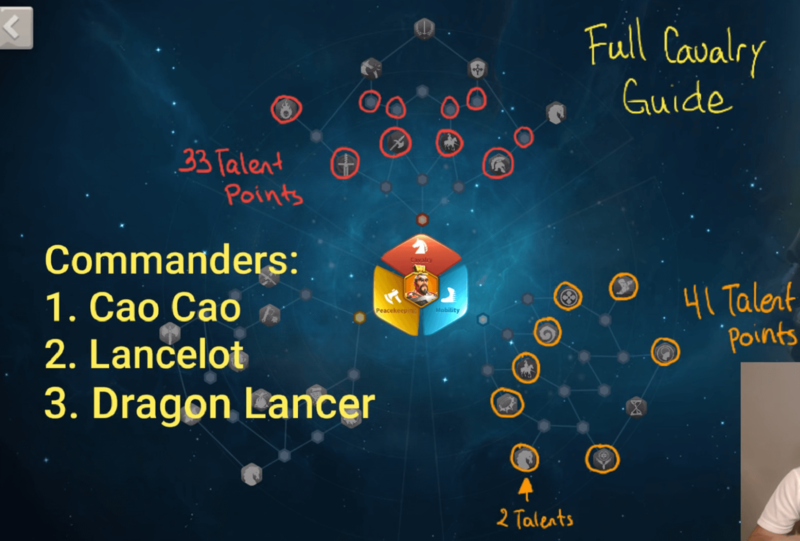 This build is great for Legendary commanders like Richard or Martel. It’s great against full cavalry. Great for full Infantry armies or mixed armies. 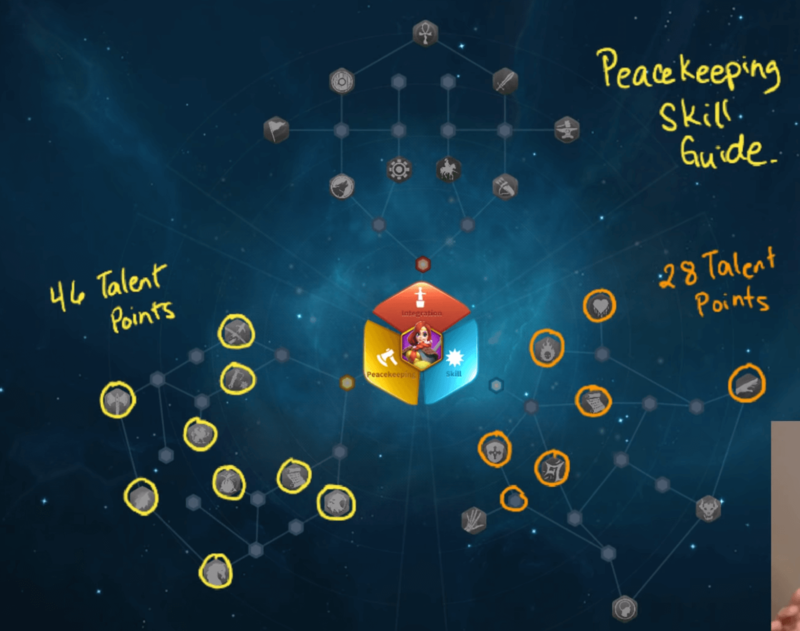 This build focus more on the nuking part of the talent tree. Great for using with Nuker Commanders. Using this build, you can play with full Archer armies. You can also easily adjust it according to your style/commanders. 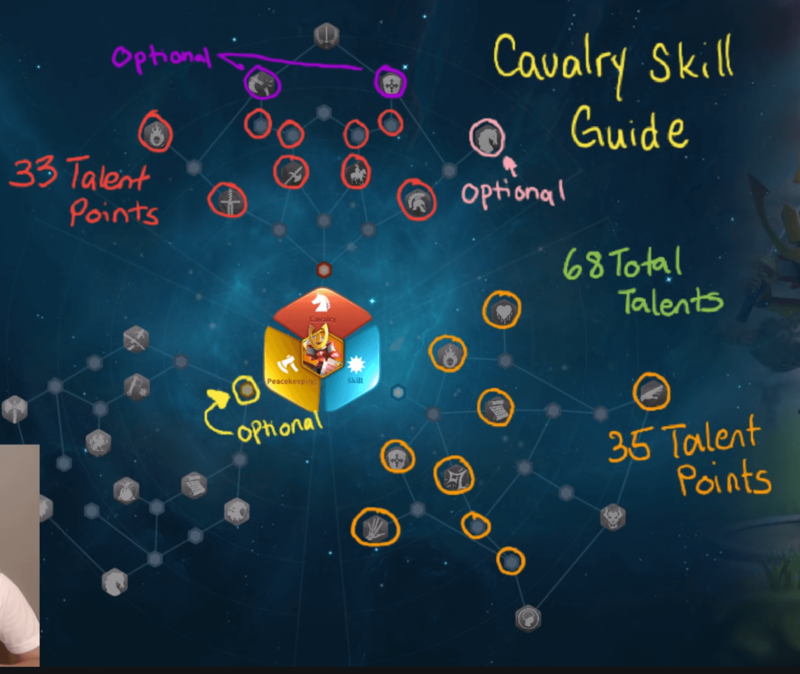 It is not recommend to build full cavalry here because it focuses more on skills rather than moving speed for your commanders. This build is very good for Pelagius because his skills do not add any moving speed bonus for the army. This is probably the only decent build for Sun Tzu. He is probably one of the few best Epic nukers. This is why you shouldn’t spend all of your talent points on Infantry for him. 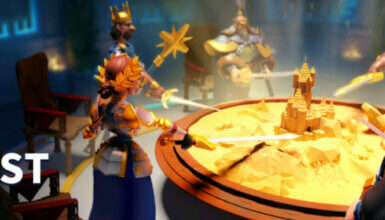 Boudica is one of the best Epic commanders in Rise of Kingdoms due to her diversity. 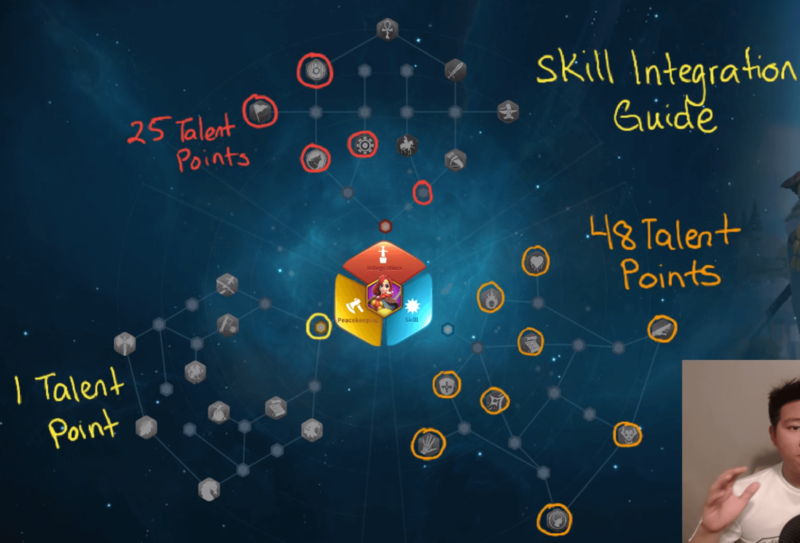 If you focus on the Skill path, you will enhance her first skill that gives attack, reduces damage and reduces rage. If we focus on her skill, we can rapidly recover her Rage. 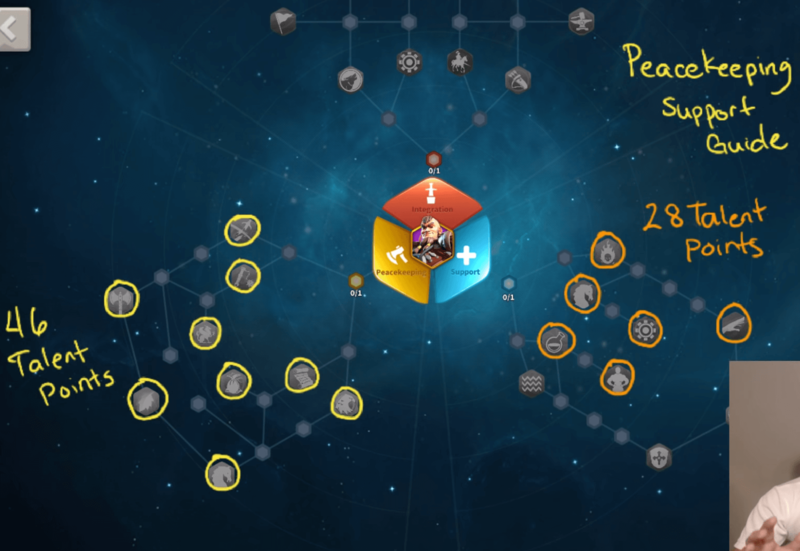 Utilizing the Integration path allows her to bring more troops to the battles. 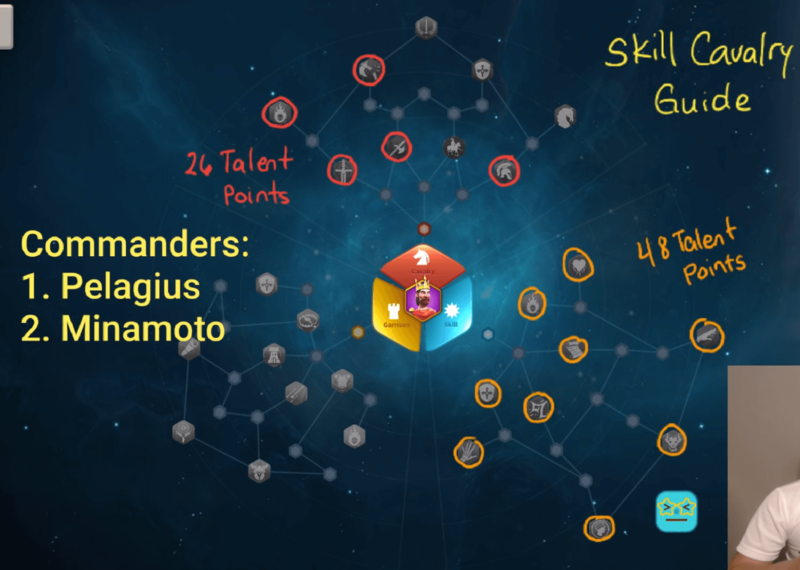 Level up the Latent Power in the Skill path to increase the damage of your Secondary commander if his/her has high first skill damage. Another great build for Boudica! If you don’t have either Minamoto or Cao Cao, Boudica is for sure your best option for Barbarians/Forts farming. Lohar is definitely the king of Barbarians. You should rely on this guys when attacking Barbarians and other neutral units. Do note that there is a talent in the Peacekeeping path which gives you a chest for every time you defeat a Barbarian. Great for Joan of Arc and Cleopatra. Better to use it for Joan. In the battlefield, Joan is better as a primary commander. Having a great Support path helps her recover the Rage quickly. The Integration path also helps you a lot while battling. 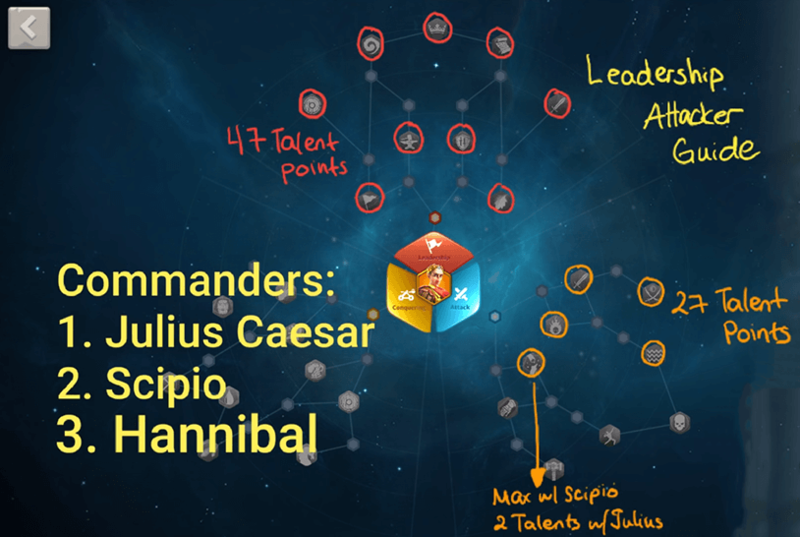 Early on in the game, it’s best to focus on Gathering with Sarka, Constance, Gaius and Centurion. Make sure the Commanders above get their Gathering talents as soon as possible because you need to reply on them to grow your power faster. 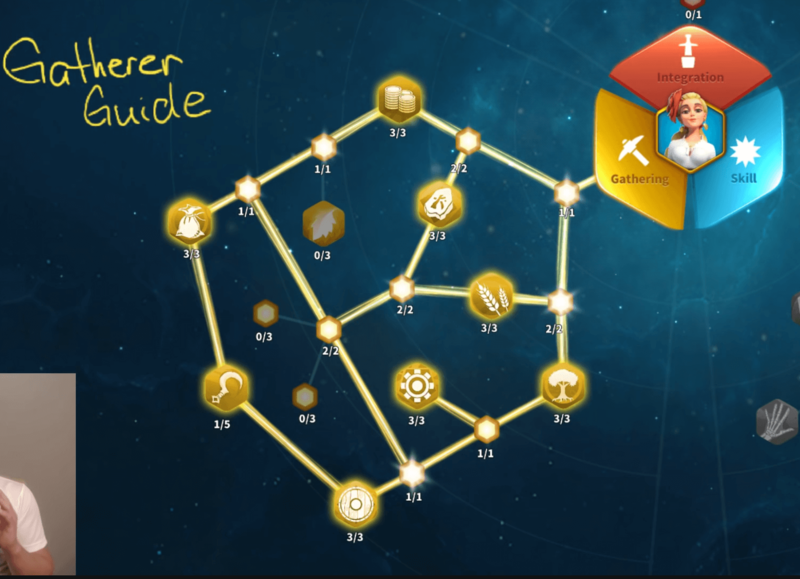 Having great Gatherers reduces the time for farming a lot, thus it gives you more resources, helping you upgrade buildings and research technologies in the Academy a lot faster. 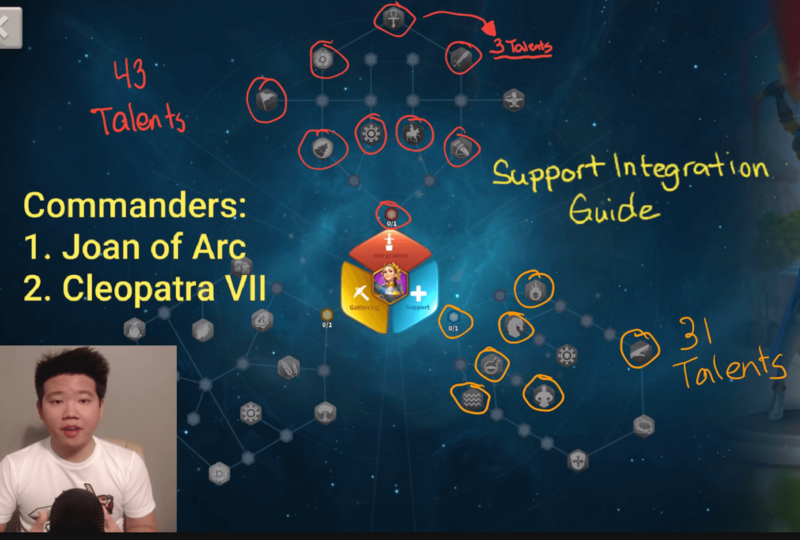 If you use Cleopatra, it’s best to focus on Stone gathering. 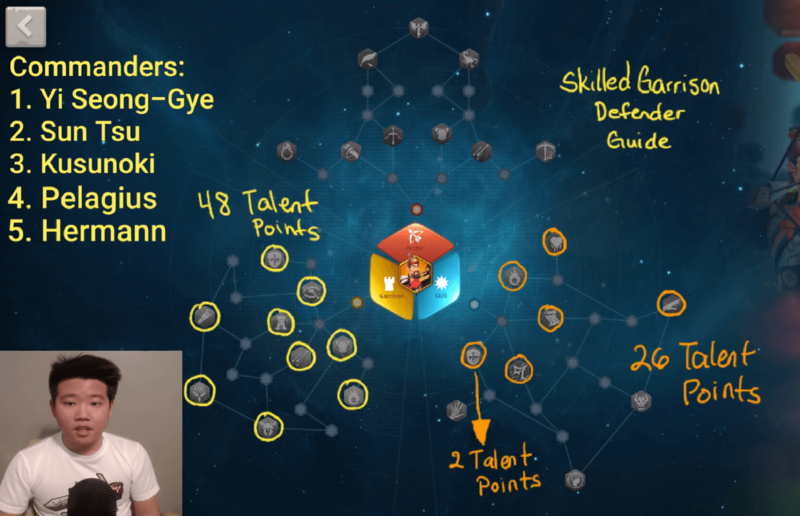 Tip: Take a look at their skills first and then focus on the resources they have faster gathering speeds while upgrading talents. This skill is only viable on defending your city base. But If you want to defend the city the most, Garrison Defense should be the best bet for you. 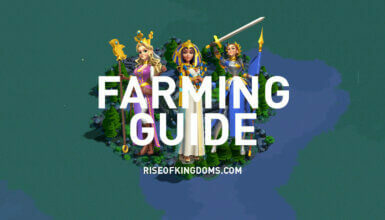 This build is good for most Free-to-play Rise of Kingdoms players. Use AoE commanders as they can attack multiple attackers at once (flock attack). 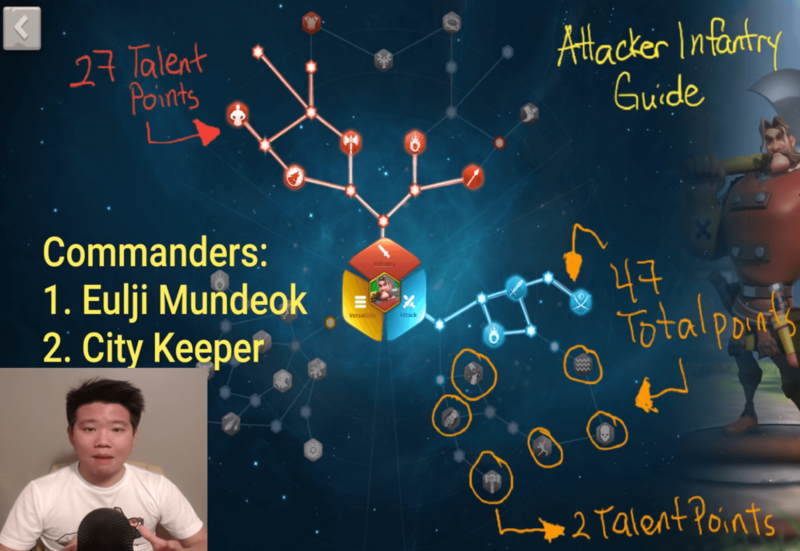 Great build for Eulji, which is probably the best Epic commander in Rise of Kingdoms. 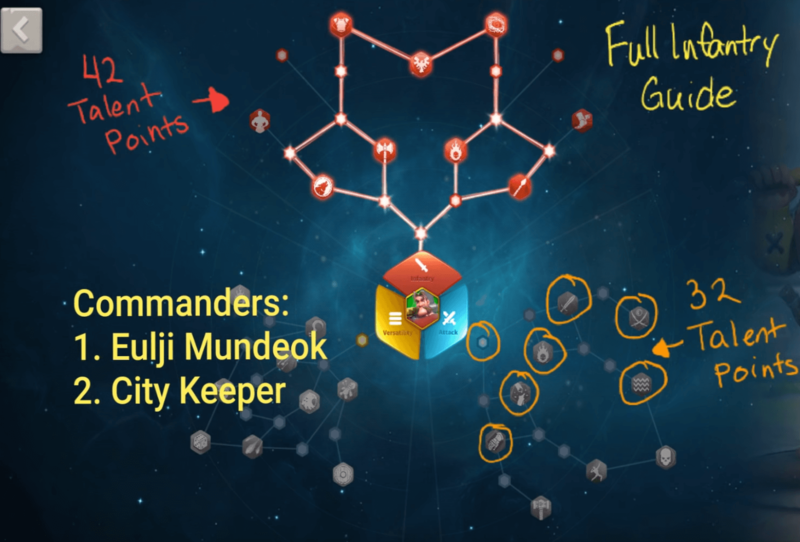 Using him as the primary commander gives you tons of benefits. If you have Richard and you want to be the best defender in the game? Use this build then! 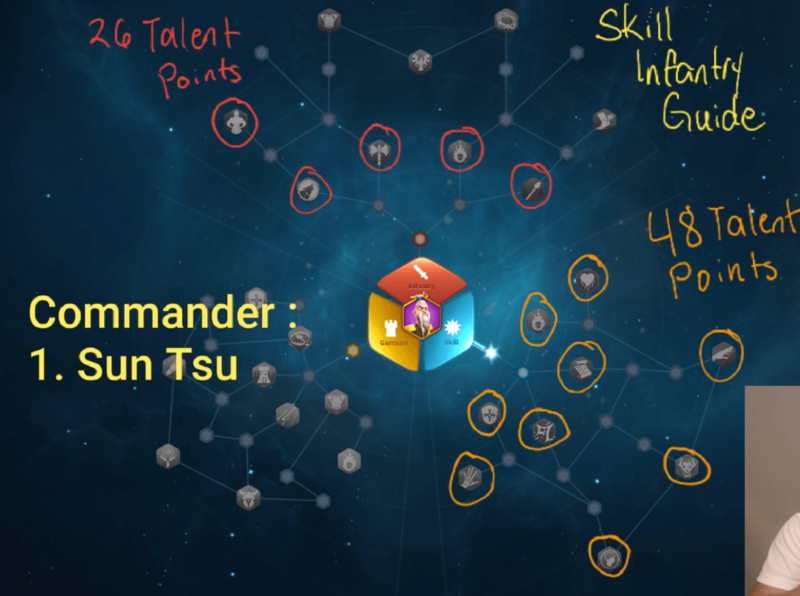 The only thing you want to make sure is that you have good skill levels otherwise your commanders will be practically useless.